From 1 March, consumers will no longer have to worry about huge out-of-bundle data costs. In just over a week, new regulations will put an end to automatic out-of-bundle (OOB) billing and allow users to rollover unused data, which will likely help keep more money in consumers' pockets. The Independent Communications Authority of South Africa's (ICASA's) End-user and Subscriber Service Charter Amendment Regulations have been on the cards for a few years. Now, all of SA's mobile operators say they are ready for the new rules, which will be effective at midnight on 28 February. Among the new regulations is the provision to allow users to opt-in or opt-out of OOB data charges to minimise bill shock. This as the automatic switch to out-of-bundle billing, and the huge price gap between in- and out-of-bundle prices, has been a concern for years. Other key changes include that operators need to send depletion notifications to customers when data, voice or SMS bundles reach 50%, 80% and 100% depletion, which all of the operators are already doing, or will implement by the deadline. It also forces operators to allow users to rollover unused data before the expiry date and transfer data to users on the same network. The original draft regulations were first published in August 2017 to amend regulations of the same name gazetted in April 2016, with a second draft published in November 2017. The final regulations were published on 7 May 2018 and the regulator gave operators one month to comply. However, they were held up by a Cell C court case which MTN later joined, but the case was settled in November 2018. Earlier this month, ICASA again made small tweaks to the regulations "to bring certainty and ensure the enforcement and implementation of the regulations does not result in unintended consequences for licensees and consumers". The changes say licensees will be required to provide consumers with an option to opt-out of usage depletion notifications for voice, SMS and data services. Licensees will also be required to provide consumers with an option to opt-in or opt-out of out-of-bundle data billing, rather than the previous regulation that stipulated an automatic opt-out. In terms of the transfer of data, the amendments replaced the word 'network' with 'electronic communications licensee' to avoid confusion. "ICASA would like to make it clear the regulations do not apply to non-licensees such as MVNOs [mobile virtual network operators] and resellers," it said. So how will the new regulations affect ordinary consumers? Each network is implementing the regulations in their own way and explained to ITWeb how it will work for their customers. For Vodacom users from 1 March, the default setting will be that customers will have their data session terminated as soon as they are out-of-bundle. "To continue using data, there are a number of options, including purchasing a new bundle or opting out of the block setting. Other options include setting a higher data limit and opting into our data refill service," a Vodacom spokesperson told ITWeb. This service auto-allocates a safety bundle in the event that consumers' data is depleted. "This function will enable them to enjoy an effective OOB rate. The safety bundle OOB rate will depend on the customer's package/tariff plan." In terms of data rollover, Vodacom customers will have the option to extend their data bundle using the rollover service "at a set fee depending on the size (in MB) they wish to rollover". Data rollover needs to happen within specified timelines before that specific data expires. "Additionally, customers are able to rollover existing data bundles through the purchase of another bundle of the same size and validity of their existing data bundle. "Customers will be able to transfer data that is about to expire to friends and family on the Vodacom network. Closer to the expiration date of the data, customers can dial the USSD string to transfer their data over to a friend or a family member after paying a fee." In terms of the changes ICASA made this month, it says it is working to meet the revised timeline, especially in terms of customers being able to opt-out of usage notifications. "Despite the tight deadline, our technicians are working around the clock to develop the required functionality." Vodacom admitted the regulations "will drag on data revenue growth in the near-term" but it will offer customers a variety of bundles to offset their OOB spend. It admitted that complying with the regulations was not an easy task. "It was a massive amount of work that required significant resource and development so that all the requirements of the regulations were addressed." Telkom implemented all of the regulated changes over two phases last year. The first phase took place in October 2018, when Telkom aligned the depletion notifications for voice, SMS and data to the 50%, 80% and 100% thresholds. From then, all FreeMe subscribers were redirected to the OOB page when their data allocation was depleted. As of 1 December 2018, Telkom brought in an option to opt-in or opt-out of OOB usage charges and allowed the extension of data validity periods and the transfer of data on its network. "Customers effectively have to change the way they use data with the opt-in. Even with airtime or open contract, customers without actual bundles will not be able to use data, unless they opt-in, or they purchase a bundle," according to Cell C.
The telco says it implemented the changes before the end of 2018 and customers will have already experienced the benefits of the new enhanced notifications service, the additional rollover facility and data transfer. "The changes required months of intensive development. "Additional requirements announced by ICASA on 12 February, two weeks before the deadline, are under review." On 1 March, Cell C will turn on the feature that prevents customers from making use of the OOB facility for data, unless they opt into OOB usage. Cell C customers can opt-in or set limits to OOB spend by using Cell C's spend control service, which applied to data, voice and SMS. Customers can opt-in on the Cell C app, Web portal or via USSD. If customers opt-in before 1 March, they will not be asked to do so again, the network explains. "Customers who don't opt-in by the deadline may find themselves in a situation where they don't have access to any data once their data bundle runs out, even if airtime is available or they are on an open contract. The amount of airtime they can access, or amount they can choose for OOB data usage on their contract is tied to the rand value they assign to their OOB data limit using spend control." For example, if a customer sets an OOB limit to R100, they can use up to R100 to continue using data once their bundle runs out. "It's up to customers to determine how their cellphone spend will work, according to their budget and in order to avoid running out of data. 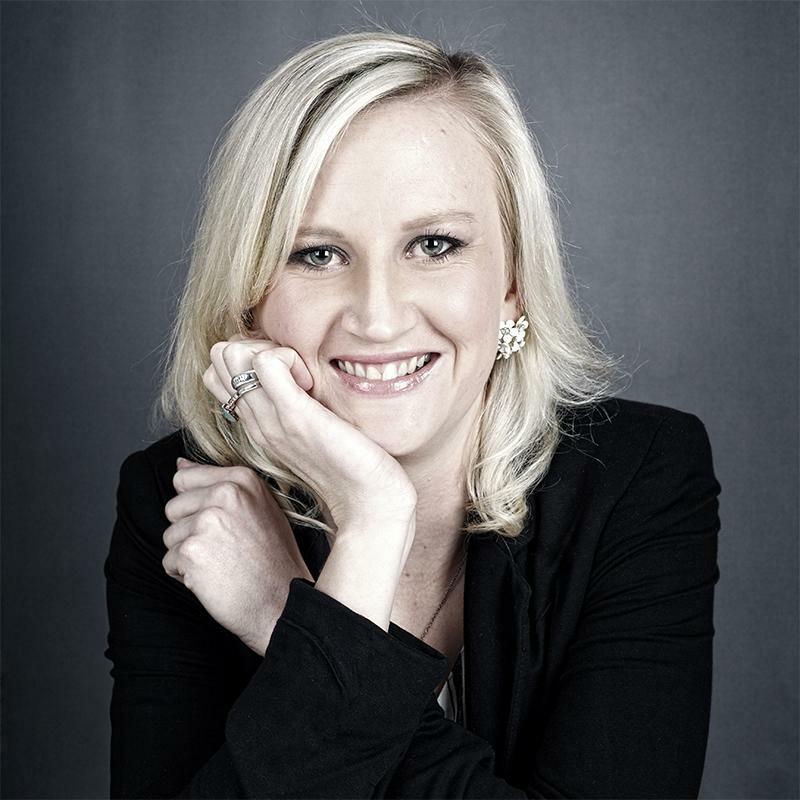 However, customers will need to opt-in to get the benefits of the spend control function and make sure they are never without data, SMSes or call time when they need it the most," says Cell C chief customer experience officer Michelle Beetar. In terms of rollover data, Cell C says most customers already have data rollover, and the validity of data depends on the data product purchased. "Some bundles last 365 days, while inclusive contract data rolls over to two calendar months. To provide an additional mechanism for customers to rollover their remaining data even after the natural rollover occurs, Cell C customers can add additional time to their bundles. Customers can select to extend their bundles by 1, 7, or 30 days. Smaller amounts of data are free to extend even further, while larger amounts have a nominal fee attached." The telco says customers can transfer up to 1GB of data to anyone on the network using USSD or the Cell C app. Cell C would not comment how much impact the new regulations will have on its revenue, or its plans to offset the revenue loss, calling this "competitive information". MTN says its customers will not be allowed to go out-of-bundle unless they explicitly consent. "On depletion of a data bundle, customers will be presented with a number of options, including an option to opt into OOB." MTN says it has offered data rollover for a number of years and is therefore already compliant with this section of the regulations. "Currently, contract customers have their data rolled over automatically each month to the maximum of twice the monthly allocation of data. As an example, a customer with an 'MTN Made for Me XL' would have 5.5GB per month. At the end of that month, if the customer had not used any data, that full 5.5GB would rollover, making 11GB available to the customer. If no data is used in that month, the oldest data is forfeited. The same applies to recurring data bundles purchased by contract and prepaid customers. "On ad hoc bundles, data can be rolled-over in perpetuity, as long as the customer buys another bundle before the existing bundle expires. When the customer buys a new bundle, the data remaining on the original bundle will rollover. The regulations are not specific on the timings of the rollover but our existing offer has been well-received by our contract and prepaid customers. MTN does not charge for rollover." MTN says the changes from ICASA on 12 February are still being reviewed "and as they were issued at short notice, we are not yet in a position to comment upon those". It also could not comment on how the regulations will affect its bottom line as it is in a closed period. It notes the regulations required extensive process and systems changes, as well as solutions development. "We are largely confident in the solutions we have developed; however, there is always a chance of glitches, when rolling out such significant changes to over 30 million customers. We have a task team on this and they will be monitoring final implementation and then the 'go live' period very closely to ensure any potential bugs are quickly and efficiently resolved." FNB Connect is ready to implement the regulations, even though as an MVNO it is not technically forced to. "We are providing an option for a free rollover of data near the expiry date for use in the following month. Customers who are on FNB Connect can also transfer data to one another, which is a major benefit for households. This is part of FNB's efforts to help customers make their money go further by enabling them to monitor and control their monthly data spend," says FNB Connect CEO Len Pienaar. Customers will receive depletion notifications when their data usage is at 50%, 80% and 100% as per the regulations. "To promote transparency, customers are requested to provide consent before being charged out-of-bundle data rates and have the option to buy a new bundle," FNB said.